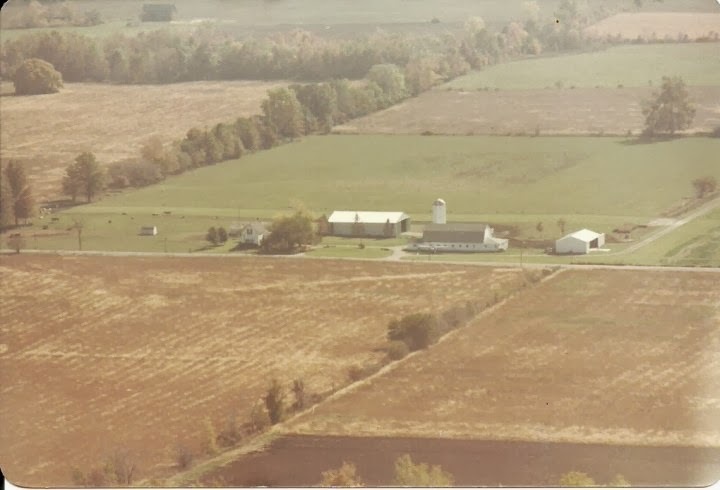 I have nothing but fond memories when I think back to the weeks that I would spend on my grandparents’ farm in northern Indiana every summer. I usually went the week that their church was hosting vacation bible school. That only went on for five days in the morning and the rest of my time there was spent on the farm, learning what my grandparents did each day, and how they did it. It was so vastly different from my life at home. I guess that must be why I paid such close attention. The farm is land that my grandfather’s family has been farming for two hundred years now. The area is very rural and the closest small town is quite a drive away. When I was a baby, they got rid of the dairy cattle that were their primary income during the time that my father grew up. When I was a child they had about twenty head of beef cattle and my grandfather farmed the fields of corn and soybeans. My grandmother put in a large garden every summer and my grandfather had an orchard as well, with lots of apple trees and some cherries and pears. They also had gooseberry bushes, which always fascinated me. I never really enjoyed the taste of them, but I liked knowing about them, because very few people I knew did. My grandmother made gooseberry pie with them. My grandfather was in the air force in world war two and my grandparents had saved up most of their lives for the small passenger plane that they owned. 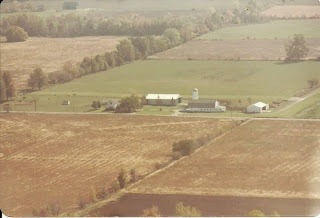 They housed it in an immaculate hanger on the farm, and my grandfather maintained a grass runway that went right between the cornfields. When walking back to their beautiful pond, which they had dug out from a spring when my father was young, I was taught to look both ways before I crosses the runway, because you never knew if someone might need to make an unexpected landing. At some points in time there were as many as fifty cats living on the farm. My grandparents encouraged them because they kept down the rodent population that was attracted by all of the grain. My grandfather delivered government food and the cats were fed the surplus in addition to what they hunted. They ate a lot of powdered milk and stale bread. When my grandfather went out to feed them in the mornings, they would all come running. I loved hunting for the nests of newborn kittens and trying to make friends with them. I also loved to walk up the ramp that they used to load the cattle into trucks with. It was probably only four feet high, but I loved to jump off of it. It felt like flying. My grandmother made the most delicious food, and loved to spoil me with it. I remember sitting up late, ten o’clock late, and eating chocolate cake before bed. I could have anything that I wanted for breakfast, but my regular request was my grandmother’s homemade chicken and noodles with mashed potatoes. At their house the big meal of the day was at lunchtime and called dinner, while in the evening we ate a much smaller meal and called it supper. My grandfather often ate this meal in his chair where he would watch the news and then always Jeapordy. They loved white animals for some reason. During my childhood they had four different white German shepherds, all of which nipped me at least once because they were guard dogs, and being a child, I made them nervous. There was also one white cat that was allowed to live inside the house. His name was cloudy. He was absolutely gorgeous with long fluffy hair and big green eyes. We didn’t get along very well when I was young because I would drag him out from his hiding spot under the bed and try to get him to cuddle, which he did not like at all. We eventually made friends when I was older. Every single morning, my grandfather would fill the cat’s bowl with food and set it on the table next to his own breakfast. Then as he read the newspaper, he would throw the cat each piece of kibble in his bowl so that he could chase it down and catch it.